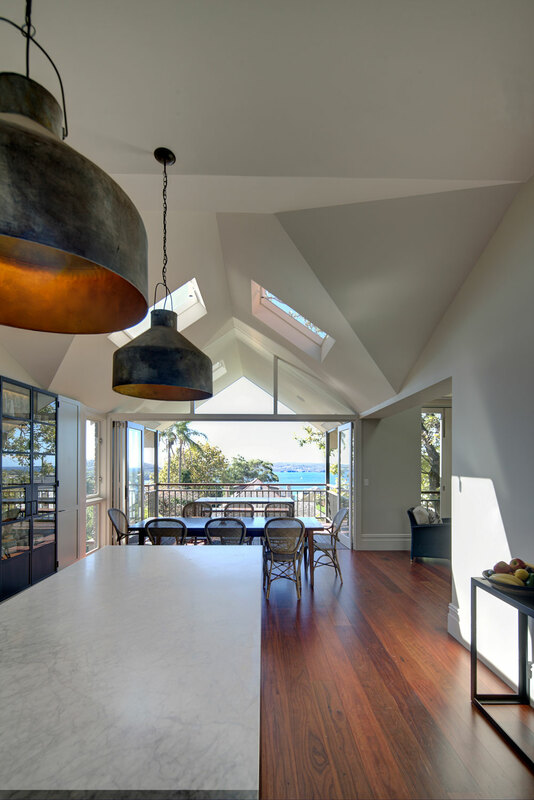 The renovation of this Federation – Queen Anne style house, c.1904, introduces consistency and improved spatial flow which had been lost over cumulative alterations and additions. 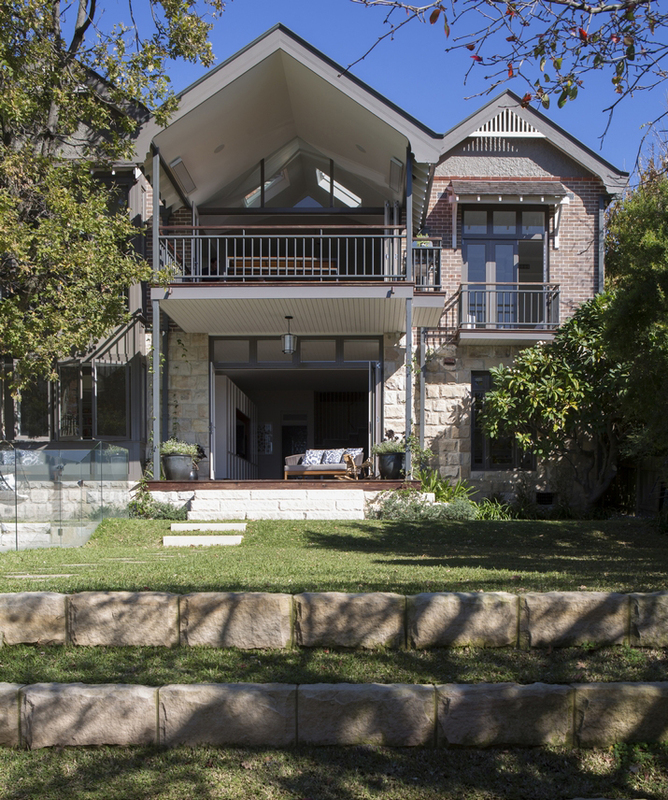 The works retain and restore the streetscape facades and the principle rooms of the existing house. 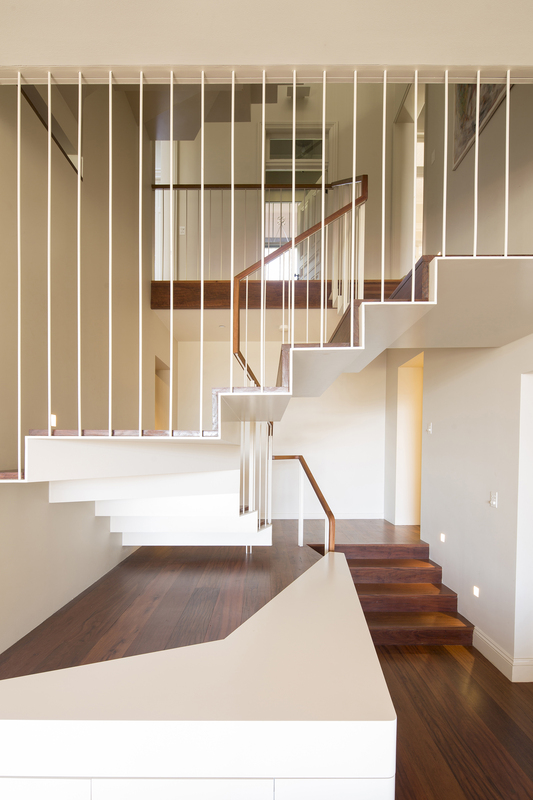 The core is opened up with the contemporary insertion of a finely-detailed sculptural stairwell which, floats and twists in an Escher-esque way connecting attic through to garden. Previous ad hoc additions are sympathetically replaced to rationalise the floor plan. 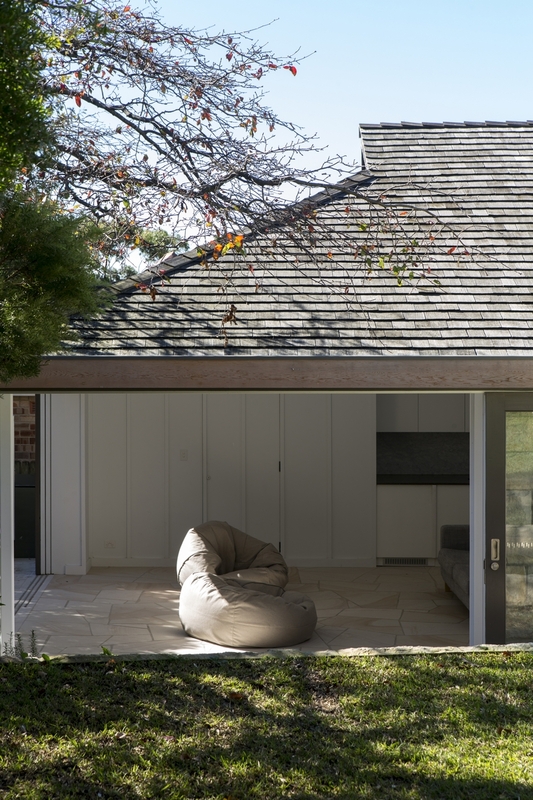 A home office is added in the roof space taking advantage of views, and a meaningful connection is established between the children’s level and a new garden that is redesigned as a place for play. 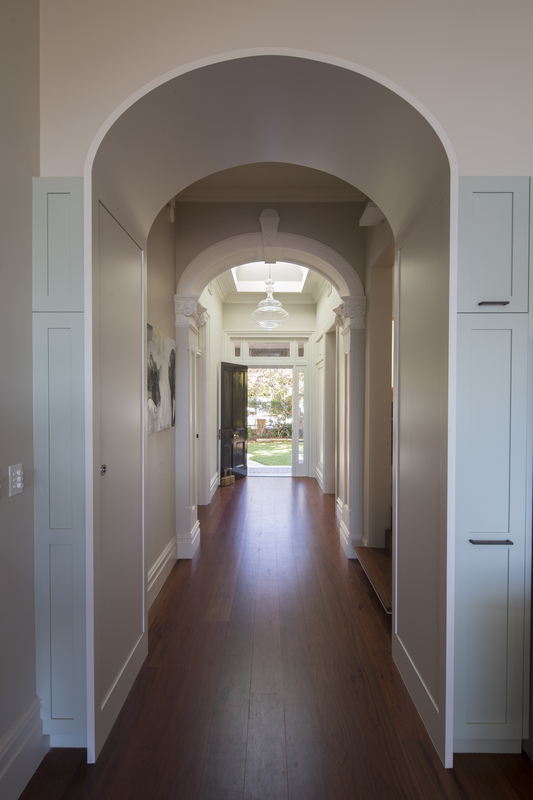 The result is a home where the detailed interiors and cellular nature of the Federation period are respected and celebrated but the spaces now have consistency and fluid connections between levels, rooms and garden.